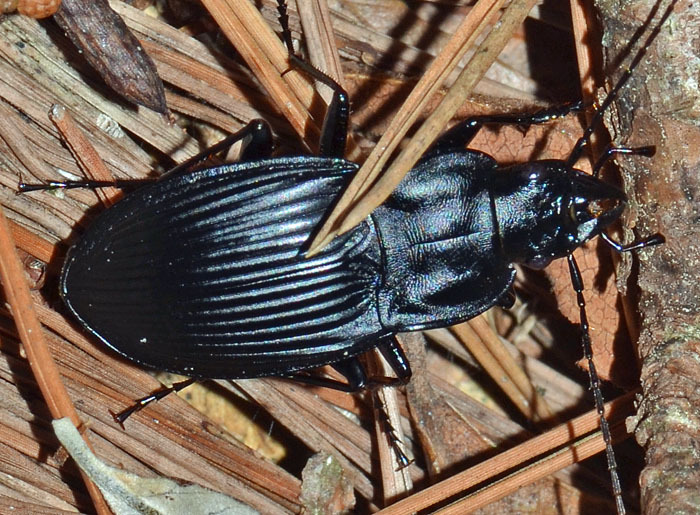 A Notched-mouth Ground Beetle: Dicaelus subgenus Paradicaelus. There are seven species (arranged into three groups), which all can be found in the US. These beetles apparently feed on snails.